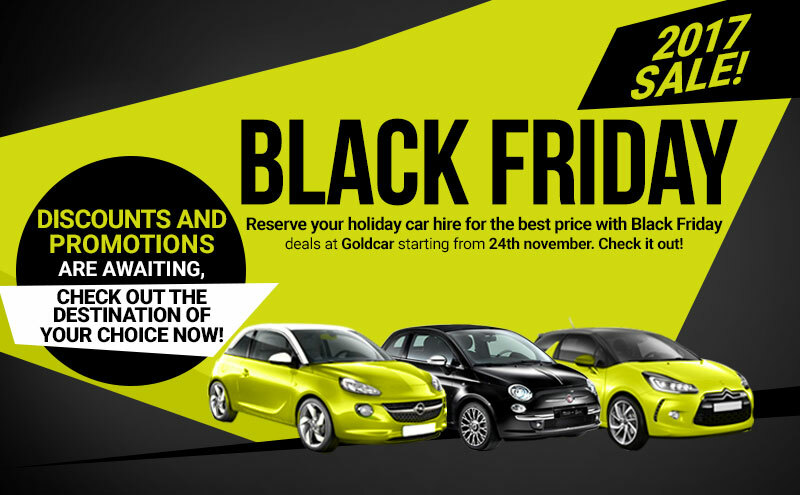 Ready for the Black Friday at Goldcar ? Inicio » Noticias Goldcar » Ready for the Black Friday at Goldcar? Have you thought about the possibility of going out to a remote place instead of going shopping this Black Friday? We are going to launch offers in rental car specially designed for restless travelers …. Don’t you know when Black Friday 2017 is? At Goldcar, we want you to enjoy this November 24, 2017 and save with each reservation for your vacations. We propose you a better plan to go shopping in shopping centers or spend the day looking for offers that do not satisfy you on Amazon, Ebay etc. Plan a getaway, book your car with us, turn off your mobile and enjoy a couple of days of road, enjoy a resort or spa, get lost in nature, or simply disconnect from the weekly routine. The weekend of Black Friday can be an excellent opportunity to escape the chaos of the city and find a quiet moment before the bustling Christmas season. And how was Black Friday at Goldcar in 2016? This Black Friday we are going to launch offers in rental car specially designed for restless travelers. Turn off your mobile and get a great trip with us.